Revenge is the theme for this third Shaolin Temple movie with Shaw Brothers veteran Lau Kar-leung brought in to add a fresh dynamic, utilising the Chinese scenery to great effect as well as maintaining a steady stream of kung fu action. The story is not too dissimilar from the first film with the same actors appearing in similar roles. Jet Li plays an enthusiastic Shaolin boy desperate to take revenge for the murder of his parents at the hands of a corrupt government. Befriending a pair of similarly embittered fighters, Jet and company unite to take on those responsible. Lau Kar-leung’s neatly observed fight scenes highlight a north/south divide in Shaolin kung fu styles which is cleverly personified in both the movements and motives of the characters. 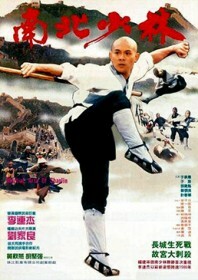 Each fight scene is brilliantly nuanced which helps to elevate an otherwise ordinary kung fu flick.